The publisher of the Chicago Voice newspaper, R. Richard Richards, disapproved of the Dragon’s popularity and his exploits. He sought to eliminate the hero and when he rampaged through the city due to the Wicked Worm possessing him, Dragon was finally targeted directly. 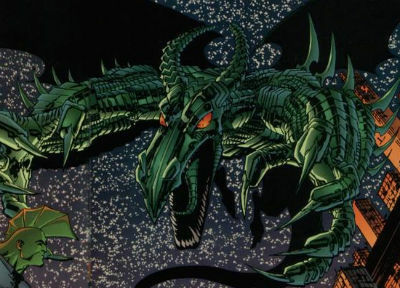 The Dragon-Slayer robot was unleashed upon Dragon but it was destroyed relatively easily by its intended victim.